A Dollop Of Me | family, food, healthy living, life's tidbits: Have you tried the bowling alley? 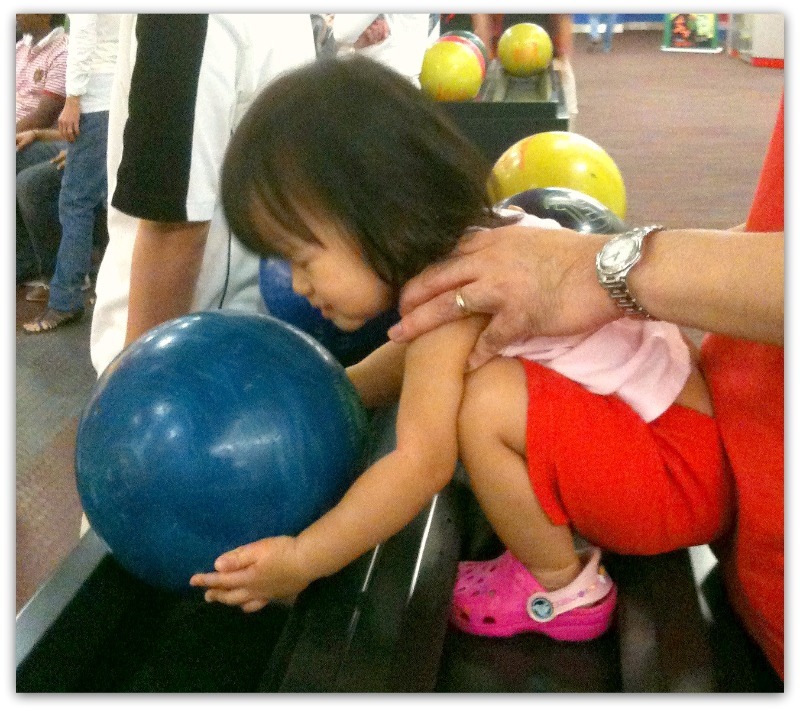 Have you tried the bowling alley? This is the thing about bringing kids out. Sometimes you have it all planned. You do your research (ask other mums, check out forums, read blogs like this one muahaha etc), set the date and time, prepare the kids (naps out of the way, preferrably poo too), pack your bag and set out with a confident expectation that your kids will have a reasonably enjoyable time. Then there are those instances where you suddenly stumble upon a place you've never considered as A place for kids. Well, we stumbled upon the bowling alley. I wonder why I've never thought about it before? While we were there, there was a company tournament going on, so in addition to the exciting bowling balls and loud bangs, Bubbles was treated to regular claps and cheers. She clapped along of course, everytime others did. And oh, she tried really hard to lift a bowling ball. You should have seen her puzzled expression when she realised it was just.not.possible. 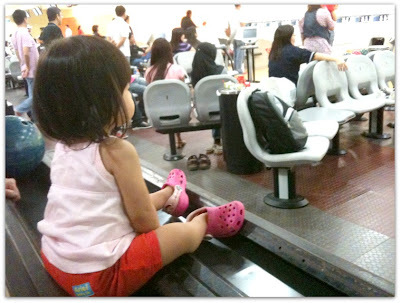 wahahahaa.. she is just too cute! What a fun idea! She's such a little cutie. I love that you call her Bubbles. So cute! Thanks for popping by! I probably have tons to learn from your parenting experiences! Oh we've been here too and we love it! In fact we're going again this afternoon! The kids so can lift the 7 pounders by themselves now, and really "bowl"!